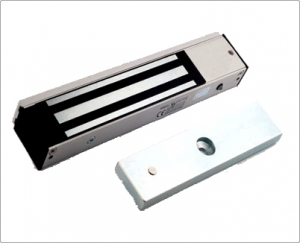 EM Lock is used to lock the doors, allowing the authorized user to pass-by. It can be used with our access control system and attendance system with specific interface that makes it usable with EM lock, door strike or turnstile. It is used to resist the unauthorized movement in the offices or work set-ups. This interface is linked with the card readers which authenticates the entry of any person.